Combines roof drain, flashing skirt and overflow all in one unit. 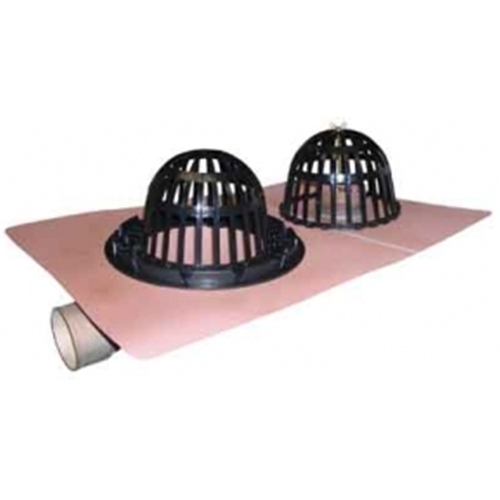 Designed for flat roof installations. Incorporates 90 degree right angle outlet for shallow joist areas. Seamless, one-piece construction. Drain and flange are formed from 100% copper. Made in the U.S.A. Dimensions: Flange 23 gauge. Drain / Flange: 24" x 18". Drain Basin: 10" Overflow grate included.